Martec Engineering and Bala Sport are the latest companies to announce their support for the Westfield Health British Transplant Games 2017 which will be held in North Lanarkshire from 27 to 30 July. The Games exist to encourage those who have received a transplant to lead active and healthy lives while showcasing the benefits of transplantation, and in doing so, to raise awareness of the need for more people to sign the NHS Organ Donor Register. In the UK, 7,000+ people are waiting for a life-saving transplant and three die each day waiting. Martec Engineering, a local firm based in Cambuslang, is a sponsor of the Games having been inspired by members of staff who have seen first-hand the benefits of being a donor. Martec is headline sponsor of the Volleyball, which takes place on Friday 28 July at Wishaw Sports Centre, as well as providing support across the whole Games. Bala Sport the official ball sponsor for the Games, is a Glasgow based cooperative set up to provide a fairer deal for sports ball workers in developing countries. All Bala Sport’s balls are designed in Glasgow and made in two Fairtrade certified ball factories, two in Pakistan and one in India. Balls will be provided for the volleyball, netball and football. When they heard the Games were taking place on their doorstep both companies were keen to support this important event which helps make a huge difference in the lives of transplant recipients. Martin McHugh, Chairman of Martec Engineering commenting on the sponsorship agreement, said: “I wanted to get involved in the Westfield Health British Transplant Games as I know the effect being an organ donor can have on saving people’s lives. I have two friends, who happen to be colleagues, one who donated their kidney to their daughter who was seriously unwell, while another died tragically in an accident and saved 5 other people’s lives through his gift of being an organ donor. Angus Coull, Marketing & Communications Director at Bala Sport said: “Organ donors save lives and these games are important in highlighting this. Being given a better quality of life through receiving an organ transplant is probably the best thing that can happen to someone. That’s only possible through the immense kindness of another person. My colleague’s father is currently waiting on a kidney transplant. 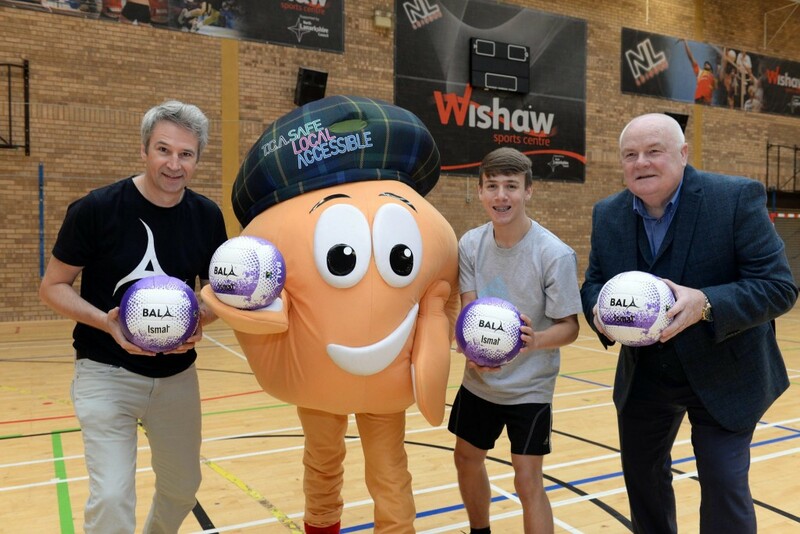 Over 750 inspiring athletes from across the UK, each of whom has received a life-saving organ transplant, will descend on North Lanarkshire, along with around 2,000 supporters to take part in 23 different sporting activities over the four day event. Athletes are aged between three and 81 and will compete in competitions including volleyball, archery, athletics, golf, squash, snooker, tennis and swimming. Competition will be fierce, but the athletes have already won the race for life – winning a medal will simply be a bonus! Please note the Games are not ticketed and there is free entry to all sporting events, except for the darts. For more information about the Games visit: www.britishtransplantgames.co.uk and www.transplantsport.org.uk or follow @WHBTG on Twitter. The Westfield Health British Transplant Games 2017 will be held in North Lanarkshire from 27 July-30 July 2017. The Games exist to encourage those who have received a transplant to lead active and healthy lives while showcasing the benefits of transplantation, and in doing so, to raise awareness of the need for more people to sign on to the NHS Organ Donor Register. In the UK, 7,000+ people are waiting for a life-saving transplant and 3 die each day waiting. In North Lanarkshire there are currently a record 124,559 people on the Organ Donor Register with around 30 people receiving an organ transplant every year. There are currently 52 people in North Lanarkshire waiting for a transplant and since the Games were launched last November we have seen more than 3,000 people joining the Organ Donor Register. Please contact the press office team if you would like accreditation for attending the Games or with any other media requests: Call 0131 557 5252, and ask for Sara, Gabby or Katy.